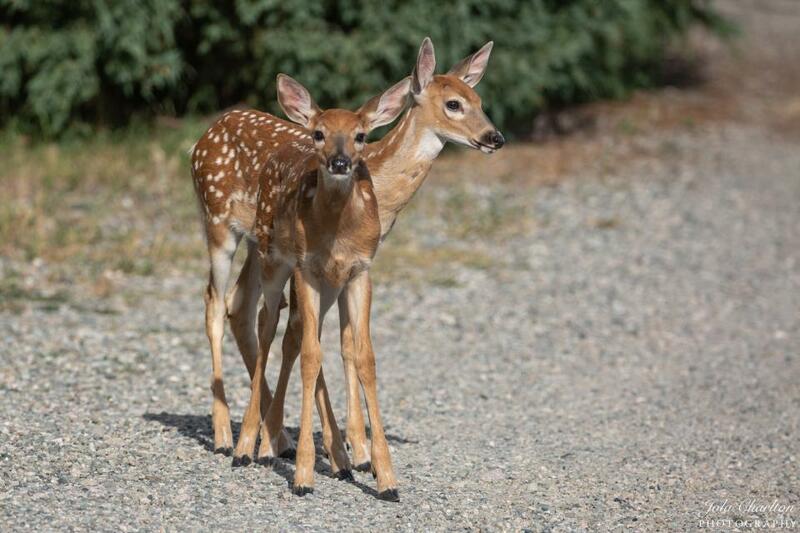 Twin white-tailed deer fawns exploring their world. They were curious about my camera which enabled me to take this shot. Canon EOS 5D Mark III, EF 100-400 mm lens.